In an interview with Republika, Jovan Lazarov from the opposition Socialist Party says that he believes a victory for the opposition presidential candidate Gordana Siljanovska – Davkova would help restore some semblance of checks and balances in the country. It would be very good for the Republic of Macedonia if the opposition candidate wins. That would be good for the ruling parties as well. It would restore some kind of division of power and the President would be able to stop some of the wrongheaded projects initiated by the Government. 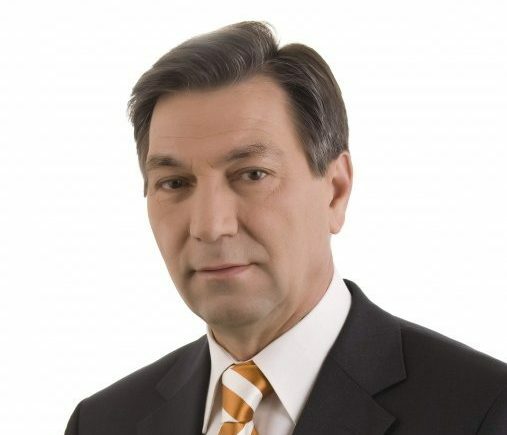 We had this experience before, when Boris Trajkovski was President while SDSM held the Government, and also when Branko Crvenkovski was President during the VMRO-DPMNE term in office, Lazarov told Republika. The Socialist Party, which is in coalition with the main opposition VMRO-DPMNE party, was recently hit hard by the on-going campaign of political persecution initiated by the Government, when three of its former Agriculture Ministers were arrested. This comes in addition to member of Parliament Vladanka Avirovik who had the charges against her son used to force her to join the ruling majority and vote in favor of renaming Macedonia. Lazarov says that arresting opposition officials seems to be the main driving purpose of the Government. Instead of focusing its energy on growing the economy and improving living standards, the Government is focused on arresting former Government officials, who are now in the opposition. It feels like they will spend their entire term in office on arrests and trials, which goes against everything they promised they’ll do, Lazarov said. Elections are held on April 21st, with the second round expected on May 5th. The ruling coalition nominated former police official Stevo Pendarovski to oppose Siljanovska.